Higher loading capacity for time saving during continuous stapling. 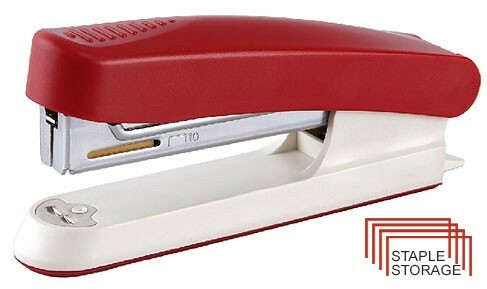 Full strip plastic body stapler with quality steel components. Indicate maximum insertion paper depth. The base length of depth is 55mm and breadth is 110mm.